Product categories of Coated Glass Beads, we are specialized manufacturers from China, Glass Micro sphere Coated Glass Beads, Pavement Coated Glass Beads suppliers/factory, wholesale high-quality products of Road Marking Reflective Coated Glass Beads R & D and manufacturing, we have the perfect after-sales service and technical support. Look forward to your cooperation! reflective Coated Glass Beads have been treated with high quality organic materials on their surface, with high refractive index Glass Beads available. reflctive micro glass beads is used to making manufacture of reflective thermoplastic road marking paint. dropped on the freshly stripped paint surface on the road to give immediate enhanced visibility to night drivers. 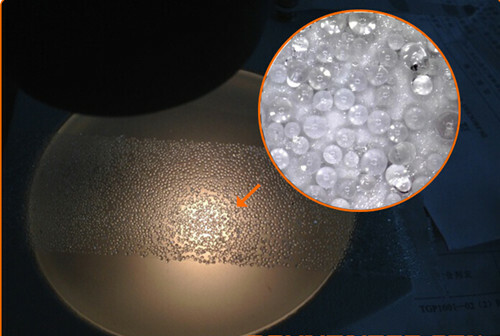 Special coated glass microspheres glss beads, brighter and better in moisture proof. It is used by dropping , spraying after marking pant. The coating will increase durableness for glass microspheres beads and better function in rainy days and moist regions. Glass microspheres / Glass beads are used as additives and intensifier for plastic, rubber, paint and composites. mainly used in the Pavement hot melt coating for the road marking lines and traffic signs. They characterized in equal size, smooth surface,clear ,transparent and round spheres, high hardness, chemical stability, etc with round rate more than 90% and highest purity.